CANBERRA, Australia, May 12, 2014 (ENS) – Step by step, the Australian Coalition Government, headed by Liberal Prime Minister Tony Abbott, is tearing down the climate change mitigation and adaption measures put in place by the previous two Labor governments. The carbon price established through a cap-and-trade emissions trading scheme that took effect in July 2012 under the Gillard Government is on its way out. Called a “carbon tax” by opponents, it is to be replaced by an extension of the Emissions Reduction Fund introduced as draft legislation Friday by Environment Minister Greg Hunt. But the vast majority of Australia’s carbon price has been paid by a small number of larger companies, including 25 electricity generators. 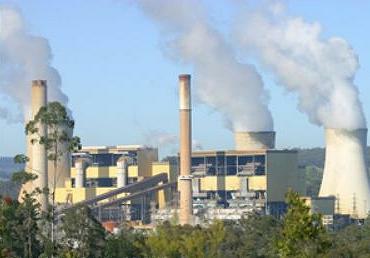 Australia is a major coal-producing nation, and burning coal generates about 85 percent of Australia’s electricity. Coal-burning power plants emit carbon dioxide, the most prevalent greenhouse gas, and the coal industry is a vigorous opponent of the carbon price. The Emissions Reduction Fund is the centerpiece of the Coalition Government’s Direct Action Plan to reduce Australia’s greenhouse gas emissions by five percent below 2000 levels by 2020, the same target as adopted by the previous governments. An extension of the existing Carbon Farming Initiative, the ERF allows farmers and land managers to earn carbon credits by storing carbon or reducing greenhouse gas emissions on the land. These credits can be sold to people and businesses wishing to offset their emissions. The latest step in the Abbott Government’s policy of scrapping all support of climate-related or renewable energy action was revealed this morning. 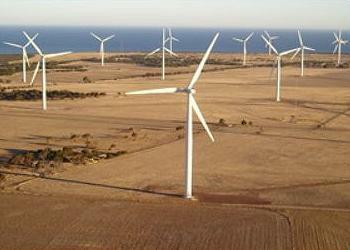 The budget due out Tuesday is likely to eliminate the Australian Renewable Energy Agency, ARENA. ARENA Chairman Greg Bourne warned that the agency’s remaining unallocated funds of about A$1 billion could be returned to the general revenue pool. ARENA was established in 2012 to improve the competitiveness of renewable energy technologies and increase the supply of renewable energy in Australia. The agency has a $2.5 billion budget to fund renewable energy projects, support research, development and activities to capture and share knowledge. The Abbott Government has also moved to eliminate the $10 billion Clean Energy Finance Corporation and may also weaken or delay the country’s Renewable Energy Target. The country’s largest environmental group, the Australian Conservation Foundation, is outraged. “If the government chooses to scrap ARENA, it is yet another instance of prioritising the profits of big polluters over Australians’ desire for a safe climate and clean energy,” said Victoria McKenzie-McHarg, the Foundation’s climate change program manager. “The government could choose to scrap the $13 billion in planned handouts for big polluters to get discount diesel and other subsidies to miners, but instead, it seems it is choosing to scrap an agency that is helping strengthen the major growth industry of the 21st century,” said McKenzie-McHarg. “With ARENA possibly gone, the Clean Energy Finance Corporation, the Climate Change Authority and price on pollution all on the chopping block, Australian jobs and investment in solar and other clean technology across the country will come to a stand still,” she said. “It’s ripping the heart and soul out of Australia’s clean energy future,” said McKenzie-McHarg. The Coalition Government appears ready to move forward with a new tax on high earners, called the “deficit levy,” despite a backlash from its own backbenchers and some senior Liberal politicians. A new poll shows the majority of Australians would prefer to keep the existing carbon price rather than introduce a deficit tax. The ReachTEL poll surveyed 3,241 residents across Australia on May 8. When asked Which of the following revenue-raising policies do you support most – the proposed deficit levy on high income earners or a price on carbon for companies with high emissions – 52.5 percent said the price on carbon, 34 percent said the deficit levy, and 13.5 percent were undecided. 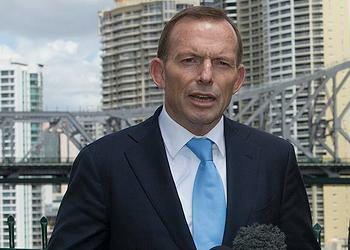 Not everyone in the Abbott Government is a climate nay-sayer. On May 5, the government’s Chief Scientist, Professor Ian Chubb delivered the keynote address at the Australian Emissions Reduction Summit dinner in Melbourne.